Some products were provided in exchange for consideration to be in this guide. I only select items which I genuinely feel are awesome. 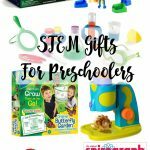 Are you shopping for some elementary aged kids this year and want to get them a STEM themed gift? 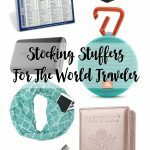 I’m compiled a few awesome gift ideas to add to your shopping cart. 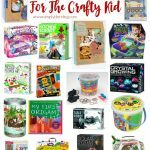 Check out the list below and add both science and fun to your gift. Remote Control Machines – Build Remote-Controlled Construction Vehicles and then drive them around? Who wouldn’t love to drive around these fun creations. In addition to driving around, their work tools also will move with the remote. This kit features 8 different models to build, and there are other kits available as well to build out your remote-controlled machine collection. K’Nex Thrill Rides – Roller Coasters are fun, check out the physics of how they are made with this cool kit. Snap Circuits Lights – Any thing that lights up is instantly more fun. Build circuits and see how the different components react together. This kit can build over 175 different projects! Cozmo – I’ve played a bit with Cozmo and he kinda has his own little personality. There are a bunch of different games to play and ways to interact with him. Telescope – Check out the stars, look for the planets, and follow the International Space Station with this awesome telescope. Crystal Growing Kit – Different compounds will create a variety of crystals. Learn how to grow your own and check out the science behind it. Microscope – Investigate the world up close with this fun microscope. Circuit Scribe – Draw your circuits! This kit features a conductive ink so you can actually draw your circuits. Newton’s Law Set – Start off physics early by learning Newton’s Law with this great set. Gravity Maze – Enhance your 3D visual skills with this mind-bending game that looks super fun. 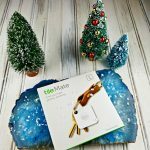 Hopefully this list gives you some good ideas for STEM gifts if you have an Elementary aged kid on your list (or even older, I know a few adults who would enjoy these gifts). I used to have a crystal growing kit as a kid. That would be a fun idea for my nieces! GREAT ideas! That remote control machines looks awesome! My niece was wanting one of those crystal growing kits. They look really cool! I love gifts that encourage learning! These are the best types of gifts for kids! That crystal growing kit looks so cool! I want that for myself, haha. Oh that growing crystals kits looks awesome!! I had a crystal growing kit when I was growing up! I love it and loved watching what shape it would become. That telescope looks awesome!